Since it has been so long since I’ve posted, I’ll share some pictures so you can see what’s been going on! 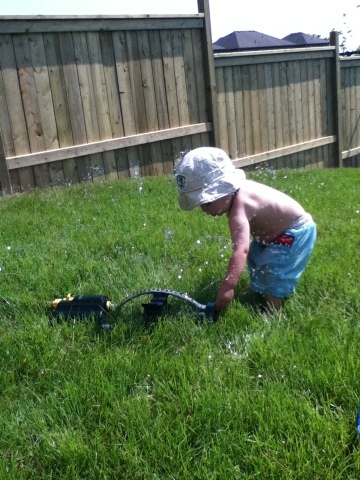 Here is C playing outside this summer. 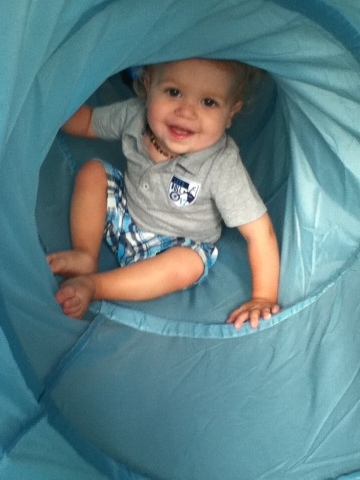 And C playing in our tunnel from Ikea. 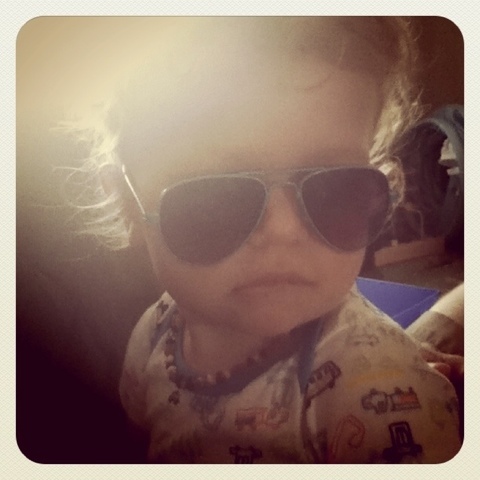 Looking like a rock star. 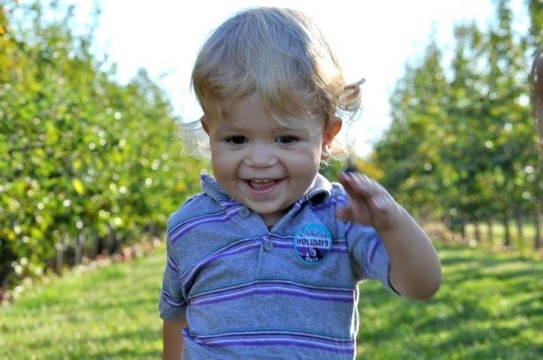 Running through an apple orchard. 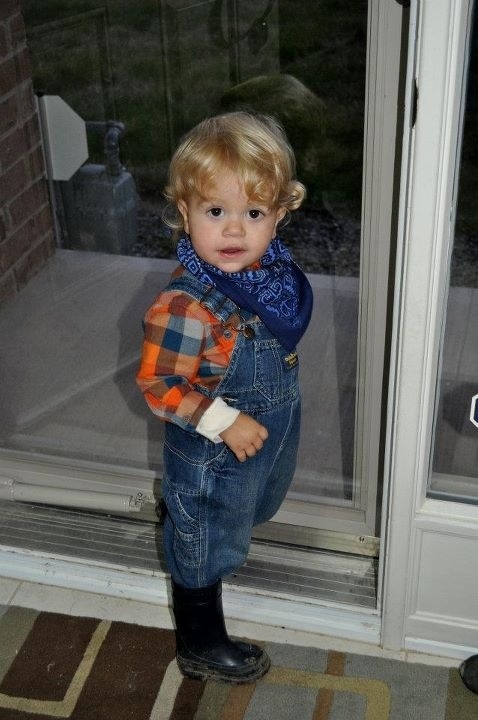 Our little farmer on Halloween. 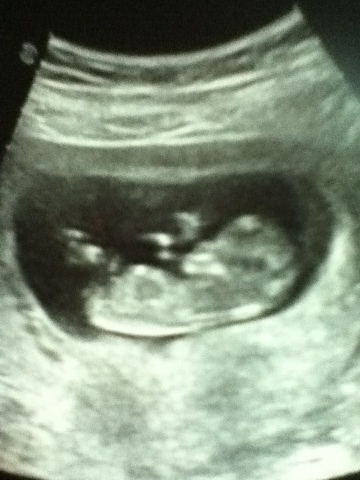 And finally our new little Bean!! Well. Maybe like 10 and a half months. But who is counting? So. What’s been going on in our household? C is 2 now. Running around. Talking. Getting into everything. Learning something new everyday. Exploring his world. Challenging Mommy and Daddy. All in all, keeping us very busy! But we’re loving it. This bean is due at the end of April. Actually, my due dates are exactly, to the day, two and a half years apart. So if this bean comes a little late, then C and Bean could be exactly two and a half years apart. Crazy!! We’re settled nicely into the house. We’ve painted two bathrooms and C’s room. Hoping to get to our room and another bathroom before Bean gets here. I’m taking a photography course at a local college which I’m enjoying immensely. I’ve learned so much and actually know how to use this really nice camera that I own. Perhaps I’ll post some photos for enjoyment soon. J is busy with his new position at his job. And with teaching a night course at our local college. Other than that, just terribly busy with the day to day life of being a mom, a wife, pregnant, trying to keep a semi clean house, and keeping C from getting into everything. I’m hoping that I’ll start posting here more often. It’s fun to keep a record of how things are going and to look back and see what’s been going on in our crazy life! do: dinner, bath, get dressed, nurse, in bed. But we had a hiccup. longer than most moms I knew. Surely she’d have advice. he doesn’t want it. We shall see and we’ll roll with it. 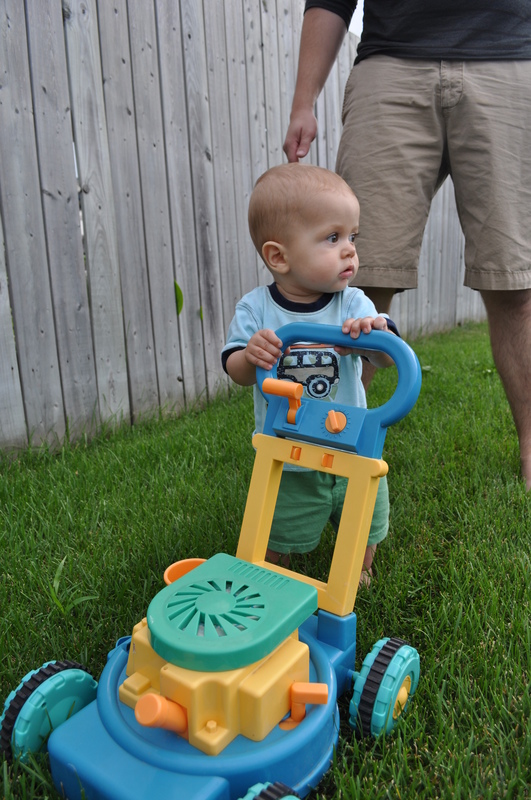 We were at the home of friends of ours on Sunday afternoon and J was playing outside with C. He decided to try letting C walk with a little lawnmower [you know the kind]. And he did it! He was walking through the backyard just pushing the lawnmower! No help from anyone! And now [thanks to said friends] we have a push toy that C can push around the carpeted areas. He was doing it yesterday morning. Let me tell you, it is very weird to have a child who, until now, has completely depended on you to get around walk away from you! My little man is growing up so fast! It’s awesome, sad, and scary all the same time. Oh. And he dances to music now. So friggin’ cute! It’s actually going better than anticipated [well until this little bout of frustration that just hit]. I’m loving it! I don’t mind the laundry. I love hanging the dipes out to dry. I love the fun colors I get to put on his bum. I love letting him run around in tshirts and a diaper, or even just a diaper. I love it so much that I just ordered more on Monday! 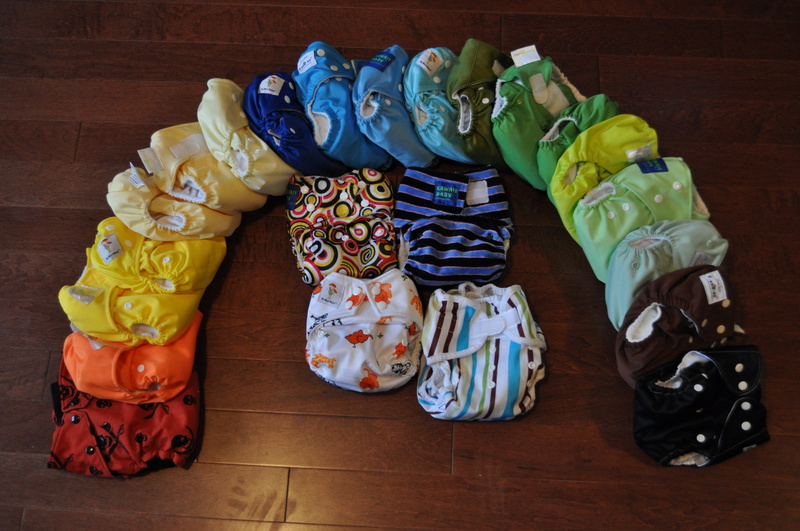 Right now we have 16 diapers [with one more coming when we get to my parents house this weekend]. On top of the ones I’ve posted about, we got in a bunch of Kawaii OS pockets. I love them! They’re so much cheaper and just as good. Plus, they have fun colors and prints. If you’re looking to order some cloth diapers, check out Sweetbottoms Baby Boutique. Beth is so awesome and helpful. I was super excited about my order and pestered her with some questions. She was prompt and answered straight away. Because they were coming into Canada, neither of us were sure how long they’d take to get here. But she was excited when I told her they arrived. Then with my second order, I made a mistake in my ordering and she changed it as soon as she got my email. Her selection is the best I’ve seen for Kawaii and the free US shipping and free shipping to Canada [on orders over $100] makes it even better! We have a couple of setbacks going on right now. We have a bit of stink going on. I’m not sure if it’s from the Rockin’ Green or if it’s from the way we’re laundering. But I’ll be stripping them and trying again. Plus, he’s getting a bit of a rash on his belly that seems to be from me not being completely adjusted to the amount of times I need to change him. I’m still used to changing him like he’s in disposables and I need to remember to change him more often. We’re away for the weekend visiting my family and we’ll be using disposables. It makes it easier when traveling, plus I don’t want to have to deal with those issues while we’re away. But we’ll be back into it when we get back! Here’s a picture of C in his first cloth diaper! A beautiful blue Kawaii.